Don't let that swarm of mosquitoes ruin a perfect summer night outdoors! Whip up your own citronella candles and enjoy a summer of itch-free evenings. Make evenings outdoors more enjoyable by keeping pesky mosquitoes at bay! 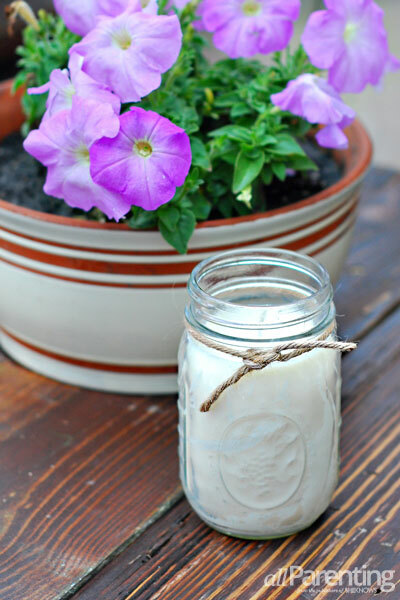 These Mason jar citronella candles are easy and inexpensive to make yourself, and they will give you many nights of pest-free al fresco dining this summer! 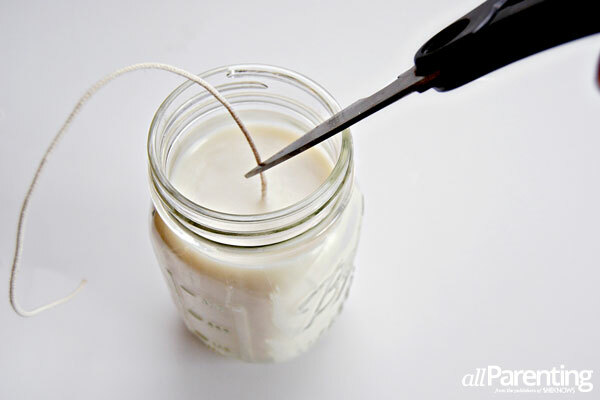 Start making your citronella candles by assembling the wicks. Slide the rope through the base of the wick and tie a knot at the bottom. 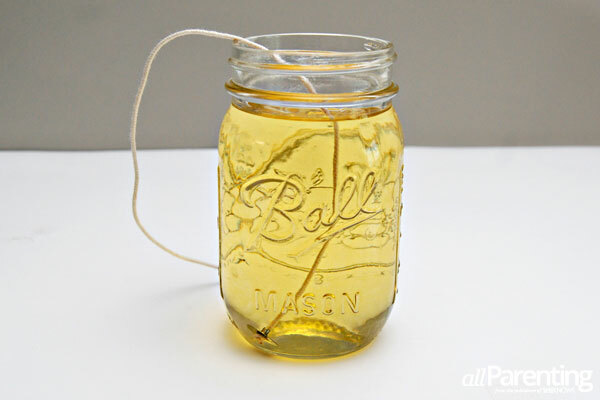 Make sure the wick is a couple of inches longer than the height of your Mason jar (you'll trim it down later). Next, measure out the candle wax. Use the Mason jar as a measuring guide. 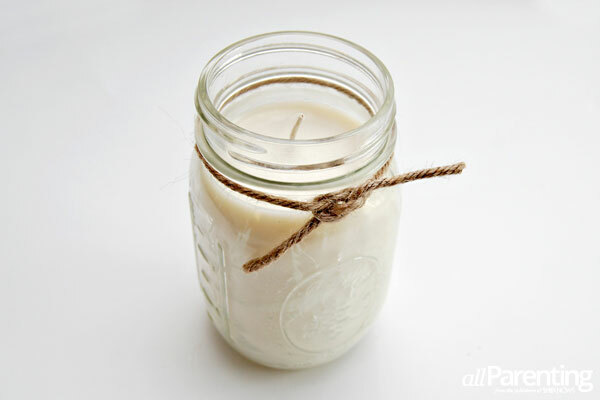 You will need approximately 3 Mason jars of the dry wax to make one Mason jar candle. 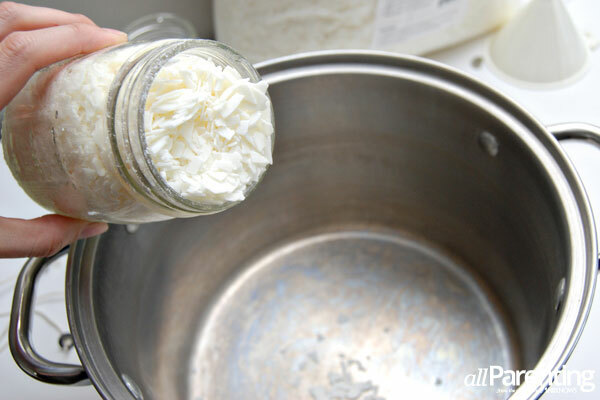 Pour the candle wax into an old pot, and then heat the wax over medium heat. 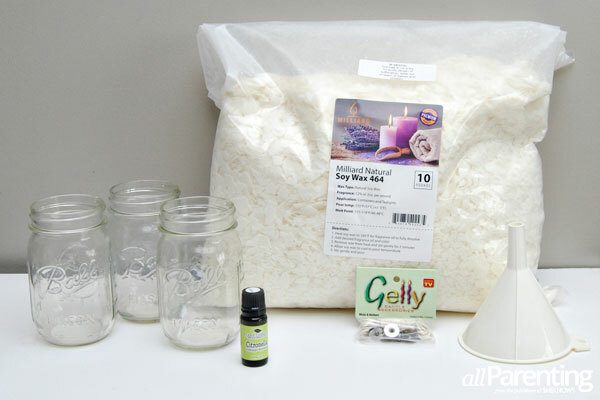 While the wax is melting, place the candle wicks in the Mason jars. 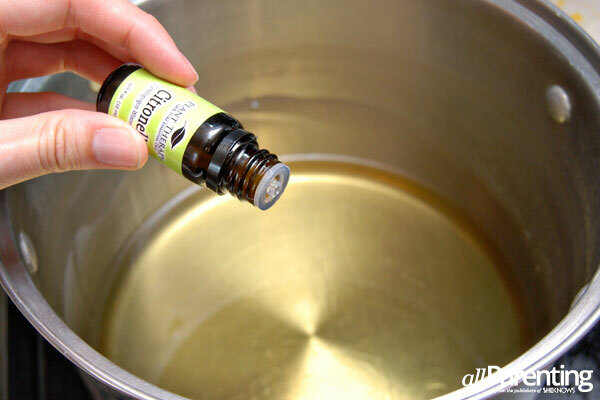 Once the candle wax has completely melted, add in 10 drops of citronella oil. 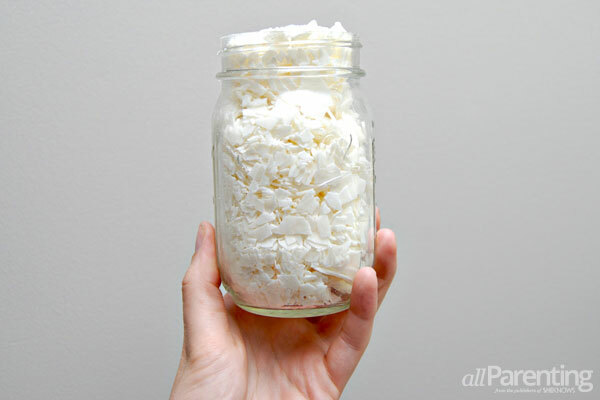 Remove the candle wax from the heat and pour it into the Mason jars using the funnel. Position the wick so that it is in the center of the candle, and then place the candles in the freezer to harden them. After the wax has solidified, trim the top of the wick down to 1/4 inch. You can add a little something extra to the candle by tying some twine or raffia around the rim for decoration. 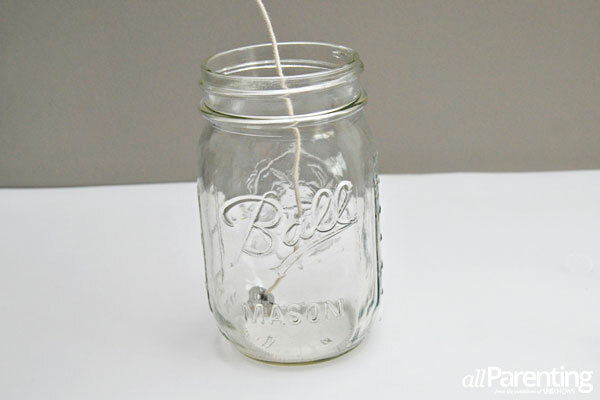 Then just grab a match and light your homemade Mason jar citronella candle!